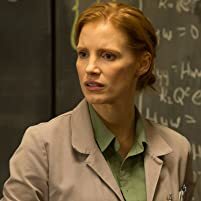 Take a look back at Jessica Chastain's movie career in photos. 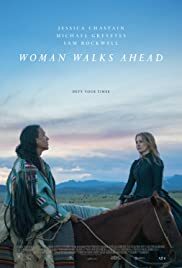 Q: What is the Lakota word/name for "Woman Walks Ahead"? Mostly fact-based 1889 story of a New York painter and Sitting Bull. 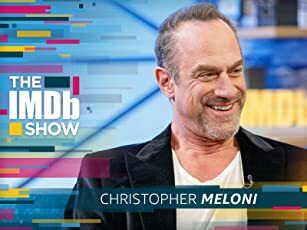 My wife and I found this movie streaming on Amazon Prime, with high-def picture and D-D surround sound. Quite nice presentation and beautiful cinematography. Filmed in New Mexico. It was the 1880s and Native Americans had already been defeated and controlled by the American government. 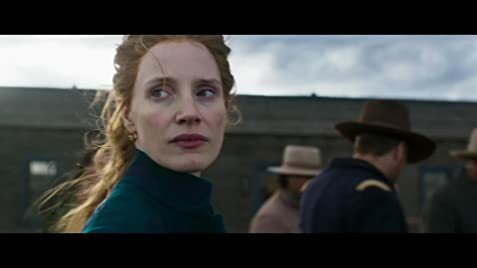 A New York painter, Jessica Chastain in the role of Catherine Weldon, becomes sympathetic to the plight of the Natives and decides to travel to North Dakota to meet Sitting Bull, paint his portrait, and assist him and his people resist. The movie isn't completely fact-based, it doesn't even mention her son, and the events that led to Sitting Bull's murder in 1890 are highly dramatized in the script, but overall it is a good dramatic depiction of what the relationship consisted of. Canadian actor Michael Greyeyes is very good as Sitting Bull, powerful chief relegated to potato farming. This is a good movie but it is a sad reminder of how poorly the Native Americans were treated back then.